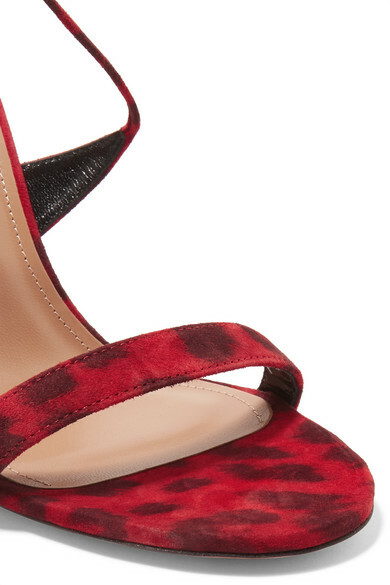 Aquazzura's 'Very Linda' sandals tick two trend boxes for Spring '19 thanks to the barely there silhouette and leopard spots. Made in Italy from soft suede, the slim straps crisscross at the vamp and secure at the heel. They're lined with smooth leather for comfort and shaped with almond toes. Shown here with: Attico Top, Joseph Pants, Bienen-Davis Clutch, Closer By Wwake Earrings.